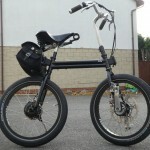 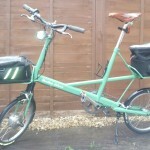 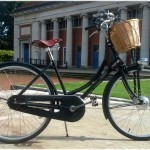 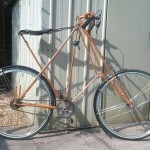 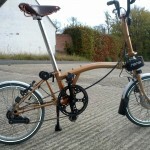 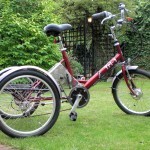 Handbuilt Tourer the Jack Taylor is the pinnacle with a light and rigid frame. 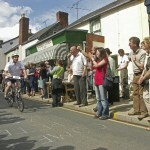 The MOJO adds that ‘help on hills’ needed by senior cyclists! 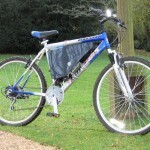 Great folder – fits a Skoda estate boot. 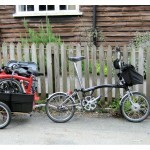 With a MOJO this has to be the most go-anywhere carry-all there is. 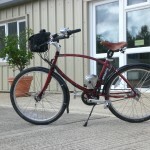 48V 1kW on 100mm bottom bracket. 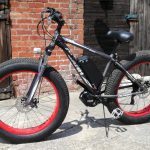 Mojo 350W mid-motor system is plenty powerful. 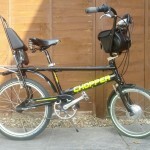 Possibly the worst bike I have ridden! 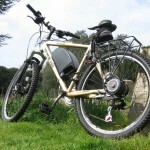 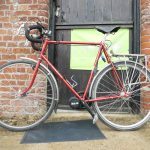 My daily ride – 11.6Kg, 12% hills. 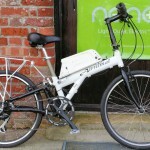 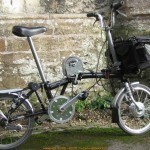 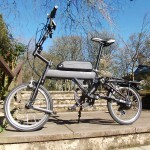 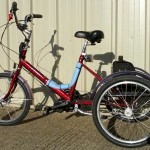 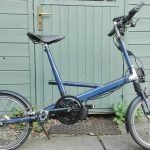 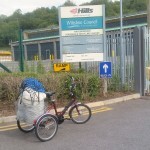 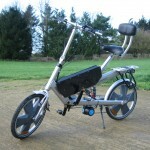 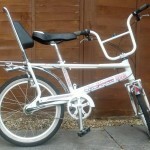 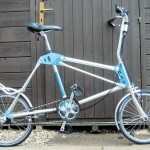 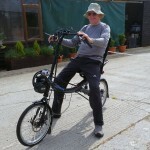 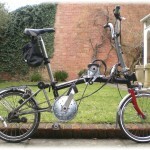 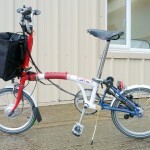 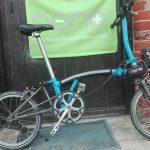 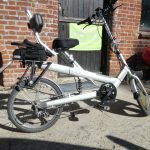 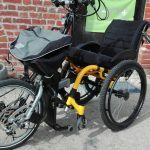 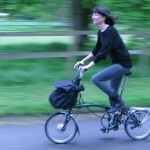 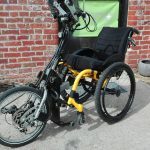 Come on BROMPTON – keep up! 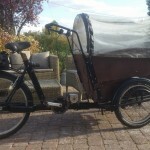 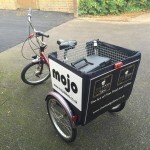 Built to carry cakes and coffee along the High Street! 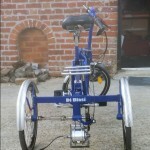 Di Blasi with a hub motor Pronto system – much cheaper than R34 and faster! 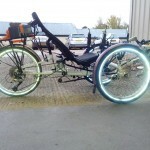 Light and agile. 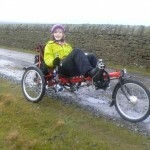 14% climb at 8mph no pedalling! 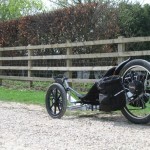 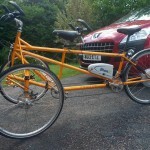 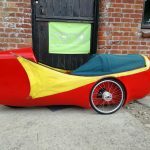 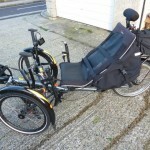 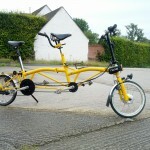 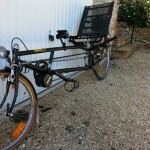 A laid back German recumbent to be seen around Somerset. 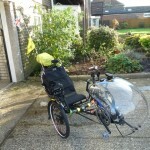 Recently covered Land’s End to JoG. 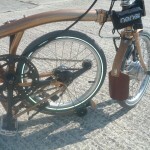 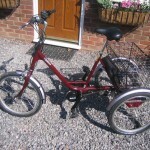 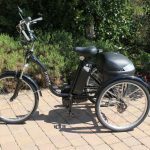 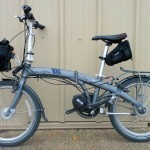 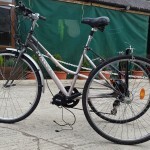 Adds electric assist (pedelec and throttle). 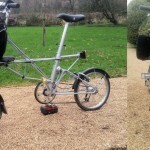 NB Brompton luggage carrier to add battery! 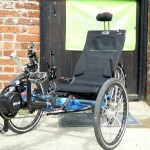 NANO front wheel hub motor fitted to Bated handcycle. 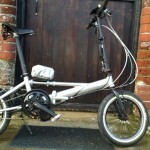 100mm wide motor with disc brake and a Brompton Luggage system for useful storage and quick battery release. 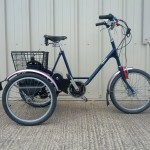 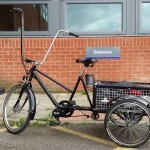 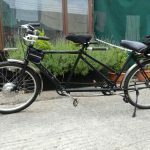 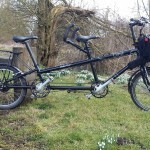 Pashley Pronto cargo trike – with ‘Ape Hangers’ The Mojo needed longer cables for speed sensor, brake and throttle all on one hand. 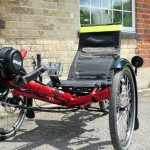 With 8cm of seat travel the Revive eptimises ‘armchar’ comfort. 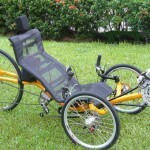 The semi-recumbent position achieves good leg extension without upright sitting. 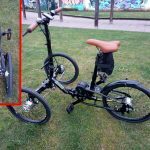 Home-grown mid-drive using a nano hub motor! 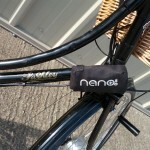 Still with my anti-scuff guard, the Tri-1 is transformed.